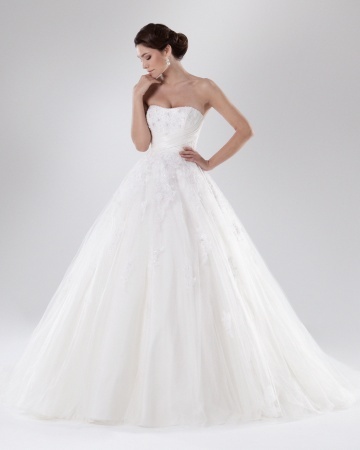 Ellis Bridals is for a long time a force in British bridal design. As a matter of fact Ellis Bridal celebrated their centennial this year and launched a dedicated collection. 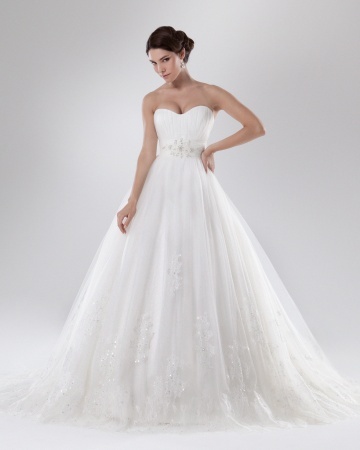 However, we took a look at Ellis Bridals' beautiful Spring 2013 collection. Much like before, the Ellis Bridals wedding dresses are a spectacular exemple of British elegance. We loved the A-line and trumpet bridal gowns from Ellis Bridals, but we simply fell in love with their ball gown wedding dresses.